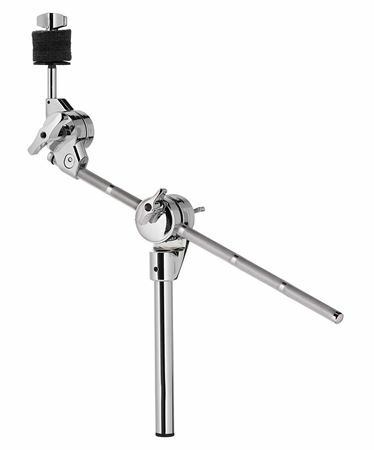 Order your Pacific Concept Cymbal Boom Arm from AMS and enjoy Fast & Free Shipping. Get the Best Deal with our Lowest Price Guarantee & Great Customer Service! The Concept PDAX934SQG boom arm is modular and versatile. A unique, toothless Quick Grip tilter slides along the arm for optimal placement of cymbals, sounds, and effects. The 9” tube, with ratchet, can be utilized with any auxiliary or multi-clamps in seconds. Combined with an array of Concept Series Quick Grip accessories, the possibilities are virtually limitless. Perfect complement to my Pdp Platinum kit!